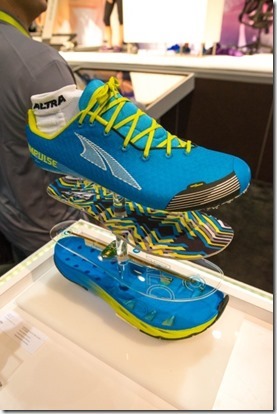 I’ve read a few stories over the past few days about a new Altra shoe called the Halo. Looks interesting and thought I’d share here. The Halo has a sensor built into the sole that apparently can detect cadence, foot strike location, and ground impact force and send that info to a synced iFit watch or a smartphone. Devices that measure cadence have been around for awhile, but a shoe that can show foot contact location and impact force could be interesting. 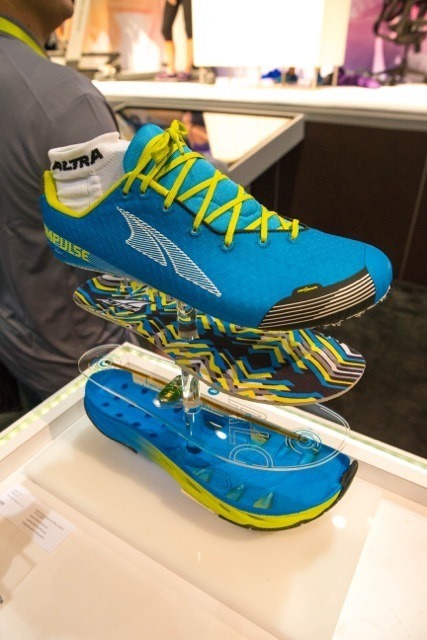 A big question will be pricing – will runners be willing to shell out $180 for this technology? There’s also the question of what to do with the info that the shoe provides – there’s no conclusive data showing that one type of foot strike is best under all conditions, and there is considerable debate about whether impact force is related to injury risk. I’m also not sure which exact aspect of force they are measuring – max impact force, max ground reaction force, loading rate, all of the above? We’d also need some kind of norms for force data to make them useful. Lots of questions, but it’s cool to see a shoe company pursuing technology like this. I expect we’ll be seeing more from other companies in the not too distant future. is that the Halo pictured? I think it is. I agree, nice looking shoe. At idea if it’s an entirely new shoe or if it’s built into (so to speak) an instinct or something? Not sure, looks like a new shoe. What would be more useful would be a insert that has the sensors in it so you can place it in different shoes – just pop it under the footbed and off you go. My thinking as well! Insert would be far more flexible and would let you see differences between shoes. I agree Robert. Have you seen the Plantiga insole (www.plantiga.com) or Moticon (link to moticon.de)? Since so many runners use multiple shoes I think the insole idea is optimal. I also agree with Peter’s assertion that data is great, but how are you analyzing it? For instance, cadence, foot strike, and pressure/force will all change when running uphill vs flat, but how will the insole assess this? Also, sensors that we use tend to break down pretty quickly, giving very different data after 10 miles of running on them. That said, I am so pumped for newer technology that puts the power in the users hands! Hooray for the future! I had come across the Plantiga and Moticon links. This type of tech would be useful when guided by a coach who has the tools, knowledge and skill of how to intpret the results and make suggestions to help you improve. As a runner and geek I’d love to such tech but even I’d get a bit board reviewing the data, mostly I like to just get out and run and enjoy the environment.